Which is the best Cafe Racer for a beginner? The Triumph Street Cup is the best production Cafe Racer for anyone riding on an A2 licence because it is available with a restrictor fitted. Once your 2 years is up and you move on to a full licence your Triumph dealer can remove the restriction kit. Having a restrictor kit fitted is a far better option than buying something that is built to produce the maximum 47bhp required for an A2 licence holder in Europe. 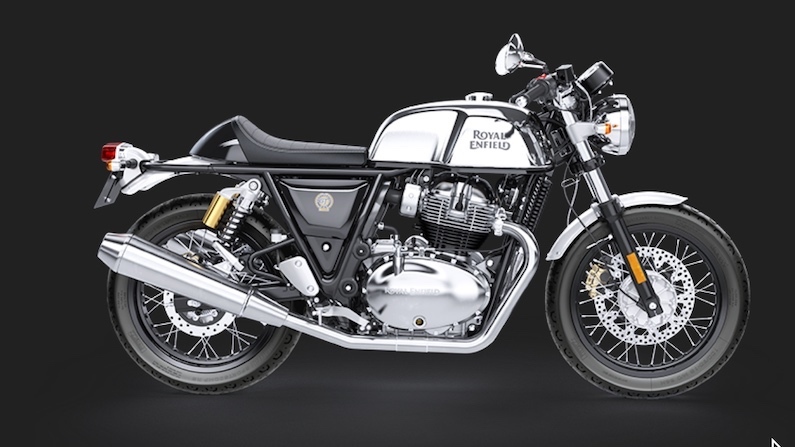 Let’s say you decide to go for the Royal Enfield GT Continental instead of the Triumph Street Cup. Once you have your full licence you are going to want something with a bit more oomph to it. With the Street Cup you take it to your dealer who removes the restrictor kit. Like all the current Triumph modern classics the Street Cup mixes modern technology with the looks of a bygone era beautifully. The Street Cup has ride-by-wire, traction control and ABS to provide confidence for the less experienced rider. Couple this with the low seat height and it makes an ideal motorcycle for those who are looking for a mid power motorcycle. 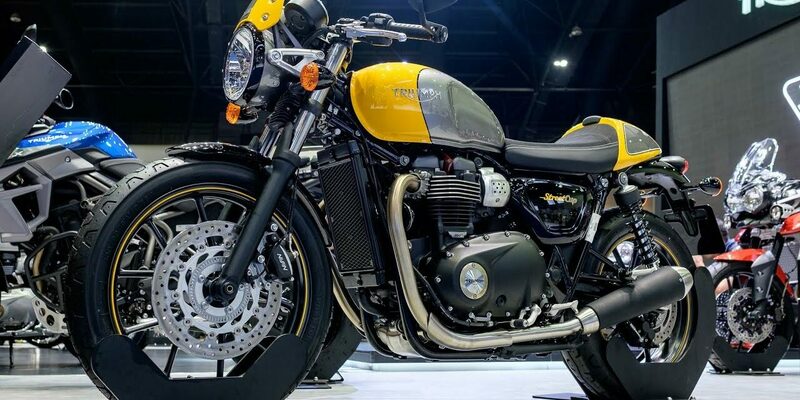 The Street Cup is finished to the high standard we’ve all now come to expect from Triumph. It has the same twin clocks as the Thruxton while the exhausts are shorter and sound great. The seat oozes quality and the cowl is detachable. With the proven twin cylinder 900cc high torque engine being just as happy nipping around town as it is heading for the coast at the weekend, the Street Twin makes a great first big motorcycle for those wanting the Cafe Racer look. 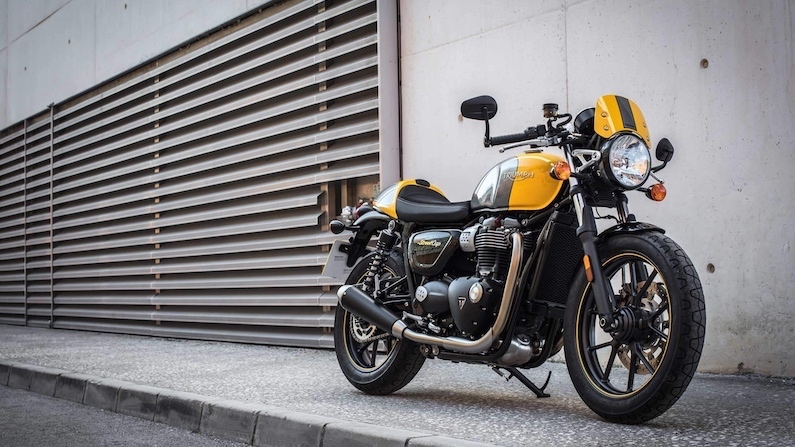 At £8800 on the road it is £500 cheaper than the New Street Scrambler and £100 cheaper than the T100 Bonneville – our pick as the best retro motorcycle for commuting. As is the norm nowadays there are plenty of accessories available from Triumph for the Street Cup. Black ceramic exhausts and a set of black spoked wheels would be on my list of must have parts. There’s plenty of other items to let you customise your ride and make it your own. More details can be found on the Triumph website. I’ve already made the case for buying a motorcycle that can be unrestricted once you have your full licence. It’s hard to not make a case though for the Continental GT given its looks and price. Starting at just £5700 on the road, it has the new 650cc parallel twin air cooled engine just like the original Cafe Racers. The Continental Cafe Racer also comes with dropped bars, rear sets, spoked wheels and single seat as standard. That’s a lot of motorcycle for £3100 less than the Street Cup. Royal Enfield have had reliability issues in the past but since expanding out of the Indian market they appear to have sorted these problems. Each Continental GT gets a 1007 point check which takes 6 hours. It also comes with a 3 year warranty to further ease worries about the build quality. If you are on a budget or have your heart set on a larger motorcycle once you have your full licence then the Continental GT could be the way to go. More details here. 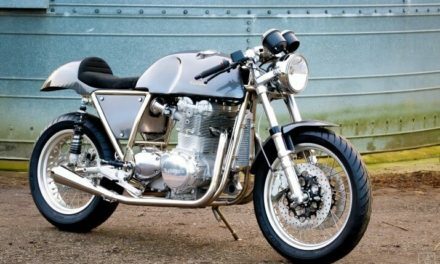 What defines a Cafe Racer? The original Cafe Racers were Nortons, Triumphs and BSA’s stripped down to make them lighter and faster. Bars were dropped so your head was down, again to increase speed. The intention was to make them as fast as possible but at the price of comfort. Because of the discomfort they generally only raced them short distances. Sometimes the racing was against each other to the next cafe or sometimes against a song being played on the juke box. Hence the name, Cafe Racer. Read the history of the Cafe Racer for more info. It’s worth noting that if you are a big guy neither of these Cafe Racers may be a good fit so be sure to have a test ride before committing. See my earlier post ‘which is the best Cafe Racer for big guys‘. If you plan to buy either of the above Cafe Racers please come back and let your fellow readers know if you are happy with your purchase. 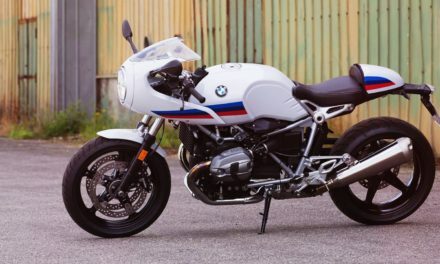 I test rode a BMW Rnine T Cafe Racer for an afternoon and found it too uncomfortable around town at slow speeds. It was fine on the open roads but under 30mph the weight was all forward and my arms and wrists ached for a couple of days afterwards. I would be very interested to know if your opinion of the Cafe Racer riding position has changed now you actually own one. PreviousWhat Is The Best Classic Motorcycle To Buy? 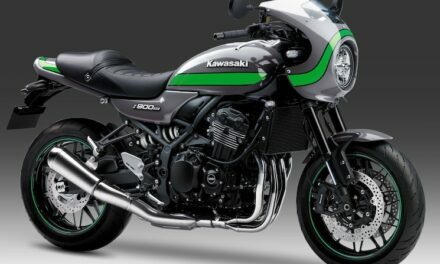 NextWhat Is a Modern Classic Motorcycle?